​This blog post originally appeared on Caitlin Crowe's website. Are you and your soon-to-be-spouse history buffs? Saying “I do” symbolizes a new personal historic era. Why not pick a venue steeped in history to tie everything together? Historical venues offer unmatched charm and significance, serving as an ideal backdrop for your wedding. Similar to botanical gardens, such spaces are inexpensive to secure, and often require little decorating due to their ornate architecture. This blog post originally appeared on Caitlin Crowe's website. At its inception, farm-to-table was simply focused on bringing responsibly grown, farm-fresh food to restaurants and school cafeterias, as organic products sold in supermarkets were often expensive or in short supply. Therefore, this movement made healthier meal options more accessible to individuals of all backgrounds and socioeconomic standings. In 2018, however, it has become evident that we must revisit and refine the mission and purpose of farm-to-table, as it is increasingly influenced by outside industries, such as agricultural technology (agtech), and shifting consumer behaviors and preferences. With that in mind, let us examine some up-and-coming trends within the farm-to-table movement. Although such devices have been the crux of the agtech industry for quite some time, a number of new imaging technologies have altered certain farming practices, including the utilization of antibiotics and pesticides. For instance, infrared spectral imaging is now employed to detect major health issues in food animals, potential food handling and safety issues, and better comprehending the needs of various animals and plants. Such information allows farmers to improve living conditions and operations, prevent tainted plant and animal products from being sold to the public and, in turn, enhance the quality of the food that is distributed. Along that same vein, more and more agricultural developers are seeking unique solutions to otherwise dire labor costs and shortages. Therefore, automation is being increasingly integrated into the harvesting, weeding, and distribution processes. However, the efforts from key, biology-based companies like Zeakal, Benson Hill, and Hi-Fidelity Genetics, are focused on improving agricultural processes on a much larger scale. Most notably, each company has recently revealed its own innovative technologies that can drastically alter the growth and distribution of commodity crops — from discovering new genomic approaches to leveraging cost- and capital-efficient development models. Similar to other social movements, a number of smaller initiatives have stemmed from farm-to-table dining. The most buzzworthy of these is root to stem, which emphasizes the need for improvement of responsibility and workflow within the foodservice industry. To elaborate, root to stem values the complete — or complete-as-possible — use of every ingredient. This would entail chefs utilizing leftover ingredients for a number of future recipes, or passing them along to other members of the service team like bartenders and mixologists. Regardless of the methodology, this approach ensures food waste is minimized to the fullest extent. The farm-to-table movement has impacted the food industry from start to finish. Although its widespread adoption has been slow but steady, many experts believe 2018 may be a tipping point of sorts for the movement. While only time will tell, it certainly is refreshing to see more than just the health-conscious and trend-aware eaters supporting farm-to-table dining. If you wish to learn more about the farm-to-table movement, or even host a destination culinary event, consider requesting such information from Caitlin Crowe, the co-founder of and event planner for Topo Pino! ​As mentioned in a previous blog post, wellness retreats and other excursions that allow us to unplug from technology and escape our daily commitments have become increasingly popular over the last several years. 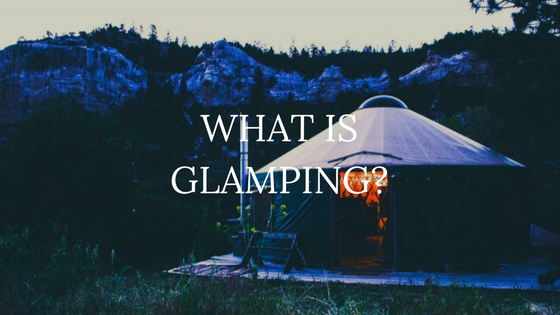 Naturally, variations of such trips have cropped up in the past year or so, but the one that seems to be growing at a rapid pace is, without a doubt, glamping. However, the benefits of embarking on these trips do not end there. With that in mind, let us take some time to explore the advantages of attending a wellness retreat. It is no secret that the beauty of nature acts as a source of inspiration and healing. Due to this connection, many wellness retreats are held at locations that provide a boost to physical, emotional, spiritual, and environmental health alike — namely, exotic jungles, beaches, and even atop mountains. 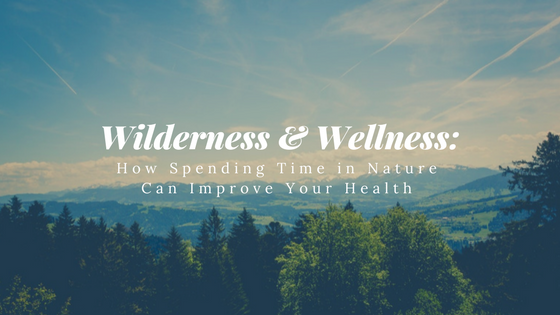 By spending this extended period outdoors, attendees are given the opportunity to escape their stressors and afford the cognitive portions of their brains a rest, leaving them feeling refreshed, renewed, and considerably more at ease. While we are trapped in the hustle and bustle of everyday life, our own desires and needs often fall by the wayside. Sometimes, this is because we feel it would be too selfish of us to focus a moment of our free time on ourselves. On a wellness retreat, however, individuals are given the tools they need to prioritize their wellbeing and, over time, integrate self-care habits into their daily routines. Although these tactics can vary depending on one’s stress level or need for a break, some examples include, but are certainly not limited to: meditating during one’s lunch break, planning and making healthy meals as opposed to eating out, or taking a mental health day after a particularly difficult week. Evidently, wellness retreats are not a passing trend, but a method of unplugging, minimizing stress, and laying a strong foundation for future strength and success. If you are interested in attending a wellness retreat, consider reaching out to Caitlin Crowe, founder of Topo Pino, on Twitter!